Looking for a full audio visual installation and an integrated audio visual system? Call Visual Synergy today for professional audio visual services. 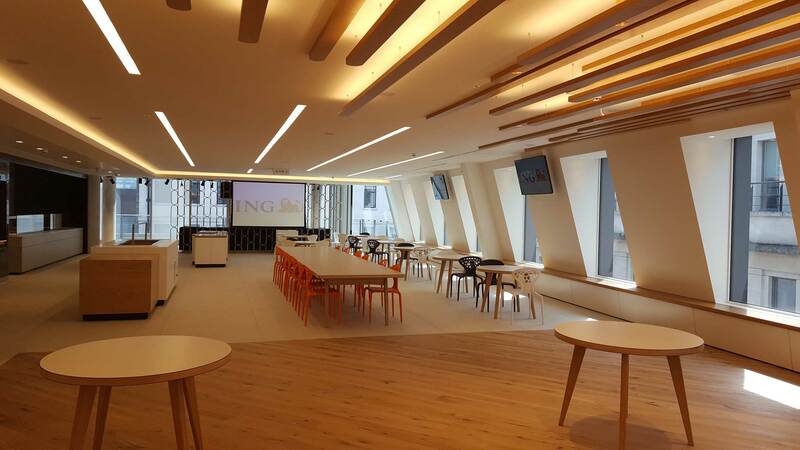 Visual Synergy specialise in corporate audio visual solutions, enabling companies to have integrated audio visual systems installed professionally. Call us today for more information. 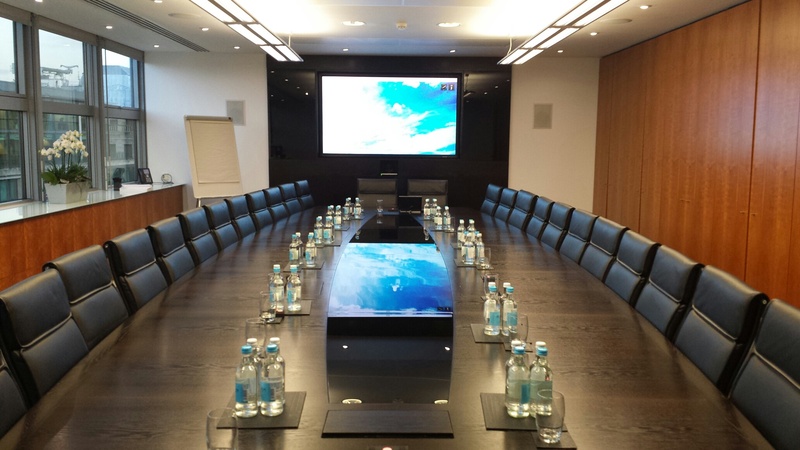 If you're looking for the highest standard of bespoke audio visual equipment for your boardroom, then you've come to the right place. Welcome to Visual Synergy, experts in corporate AV installation. We specialise in installing aesthetically pleasing audio visual systems with bleeding edge performance. Systems that will not only maximise your conference space, but will also never cease to amaze both you and your clients. Dedicated to high-quality audio visual installation, here at Visual Synergy we offer a standard of expertise and professionalism that is second to none. Every office environment is different. That's why we aim to work as closely with all our clients as possible to ensure that every detail is taken into consideration. 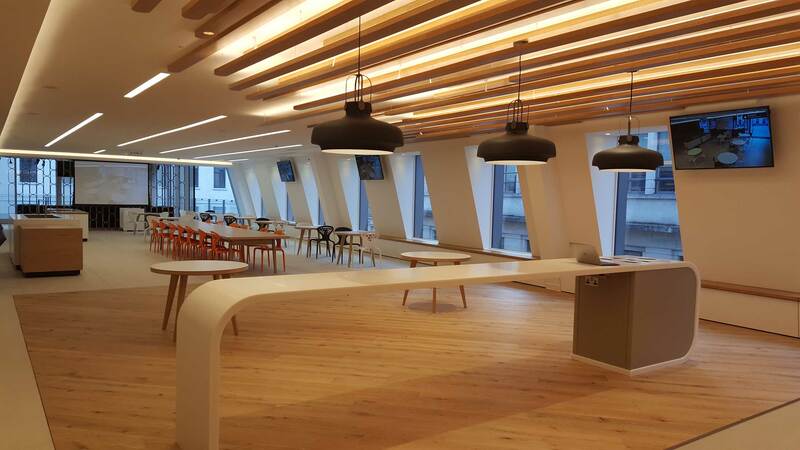 Our highly skilled team of forward thinking specialists will design and install the ideal bespoke solution for your organisation. We know that it can be difficult keeping up-to-date with all the latest advances in technology, which is why all of our systems have been made as user friendly as possible. We also appreciate that deciding on which system is right for your needs can be a daunting task, so we take it upon ourselves, as a completely independent organisation, to offer you a respected and unbiased opinion. Pesentations are an integral part of any good business strategy. It doesn't matter if you're presenting to clients, colleagues or to the public, it's vital that your organisation has the necessary technology to create and complete the best possible presentations. As technology has further developed, so has the way we present. SMART touch screen technology can be installed into your offices as the ultimate advanced presentation tool. Visual Synergy can provide you with the ability to enhance your presentations through the power of interactivity by presenting directly from a SMART board, and allow you to seamlessly create, edit and improve your presentations. 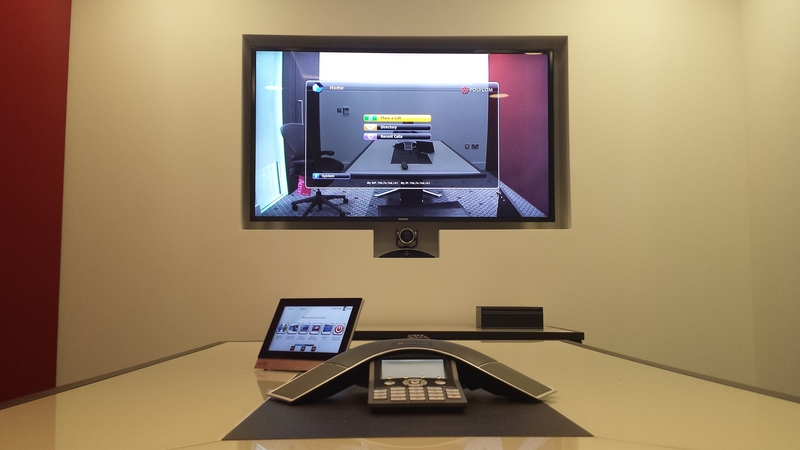 today's digital age of global communication, video conferencing technology has never been more important. There are many opportunities where business cannot be carried out face-to-face, whether you're attending a meeting on the other side of the world or simply conferencing with someone at home. Video conferencing saves your organisation time and money, by reducing travel costs and by bringing everyone and everything you need right to your meeting room. Rather than simply supplying clients with the most basic form of video conferencing technology, we aim to create a fully integrated, future-proof system, that'll please your clients and company both now and well into the future. 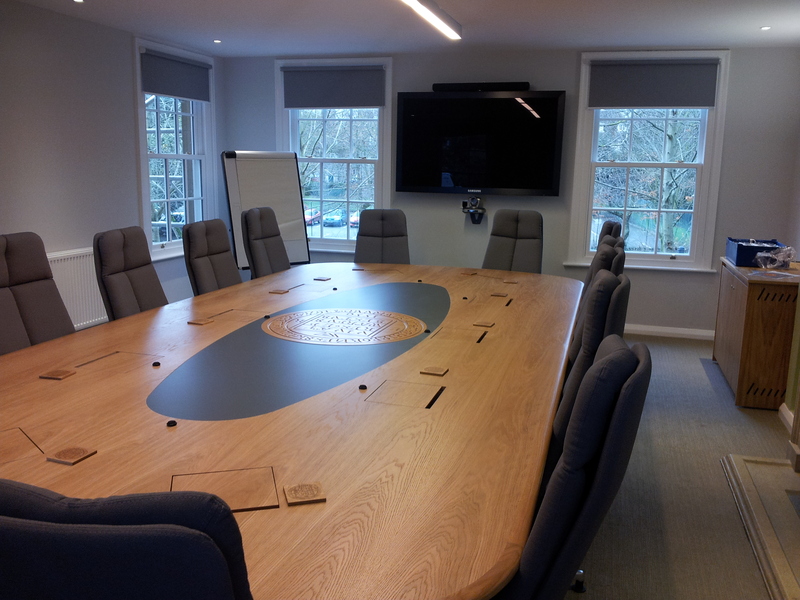 To find out how we can help you maximise your meeting room's potential, contact us today on 01296 397739 or request a quote online. At Visual Synergy we take a consultative approach to the design of any system, part of this process is advising on the layout of the room, the lighting levels and position, the finish of the room as well as the best furniture to use. This is all done to ensure that the investment in the AV and VC hardware is maximised and to give you the best VC or presentation environment possible. Visual Synergy can implement a digital signage solution ranging from a simple welcome screen in a reception area through to a national roll out with centralised control and content creation. We can also include training on a national level and assist in the production of content and layouts to ensure a professional finish. 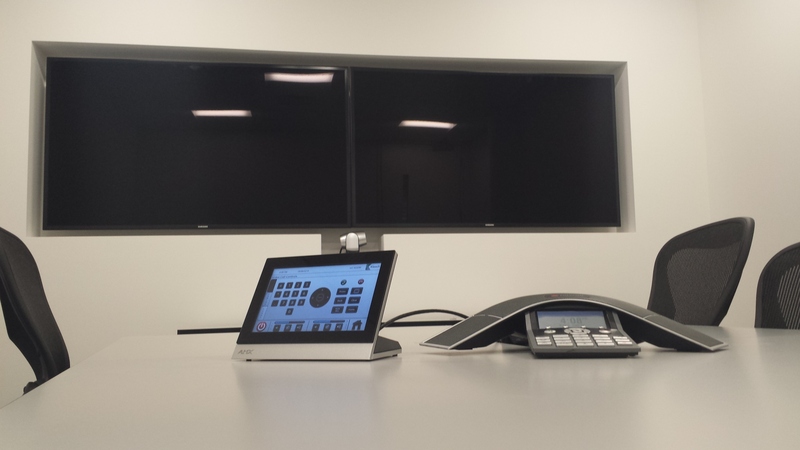 As it is not always possible to have a fixed position for displays/video conferencing, or hardware needs to be shared between different rooms, Visual Synergy can offer a range of solutions to allow the hardware to be mobile. These solutions can range from a simple sturdy trolley, through to mobile furniture. For the larger displays these systems can be height adjustable to allow access through doors and in to lifts. Touch screen technology has come a long way in recent years and helps presenters and trainers to keep the attention of the audience. There are a number of solutions available from touch sensitive large format displays through to interactive front projection whiteboards. With the advancement of Windows 8, Visual Synergy are in a good position to independently advise as to the best technology to suit the room and requirements. All organisations are looking for ways to reduce costs as well as their carbon foot print, video conferencing is the perfect solution to do both. Improve communications, reduce travel costs, reduce harmful emissions in to the environment and improve productivity, all of which will improve profitability.